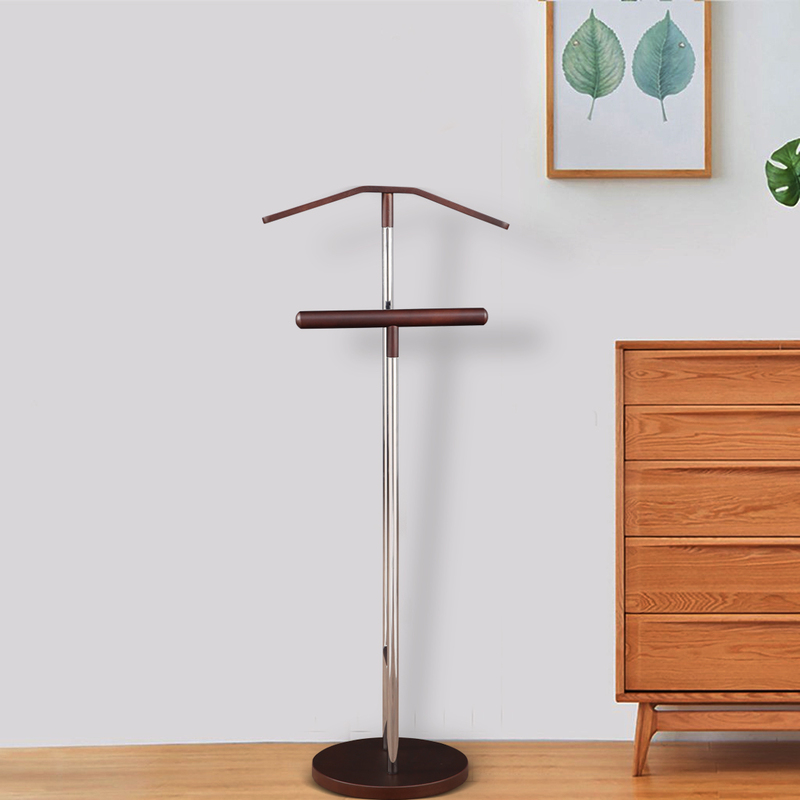 Edmore coat hanger is chrome plated and made of Iron Metal. Both the hangers are made of Wood. Main Hanger is bent for ease of usage.